My son loves getting mail. We do a lot of online shopping, so when he sees boxes and big envelopes on the porch, he gets very excited! He even loves to check out my “boring” mail – bills, junk mail, ads, etc. He always thinks there are exciting things waiting in those boxes and envelopes. I think a lot of 3-year-olds are probably the same way – which is why Kiwi Crate was created. Kiwi Crate was launched in 2011 by three parents who wanted to spark kid’s natural creativity. The idea behind Kiwi Crate is that parents would get the opportunity to spend quality time with their children on fun projects, without worrying about shopping for supplies or pre-planning projects. With Kiwi Crate, children receive a “crate” each month with tools and materials needed for various projects that range from simple art projects to science experiments. The crates include instructions and supplies for at least two projects that allow children to learn by having fun. We received the Space Exploration Crate for review. 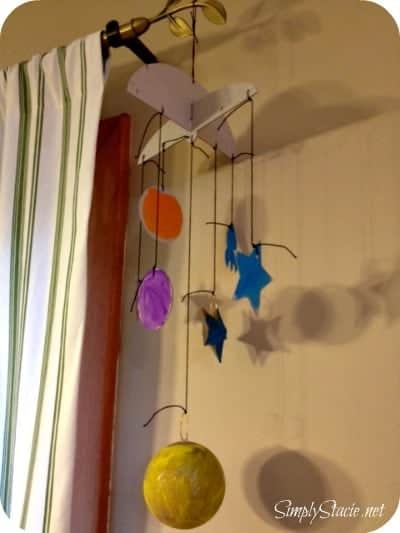 Included were instructions and materials to create a blasting rocket as well as a solar system mobile. No detail was left out -it even included the scissors we needed to cut the strings for the mobile! 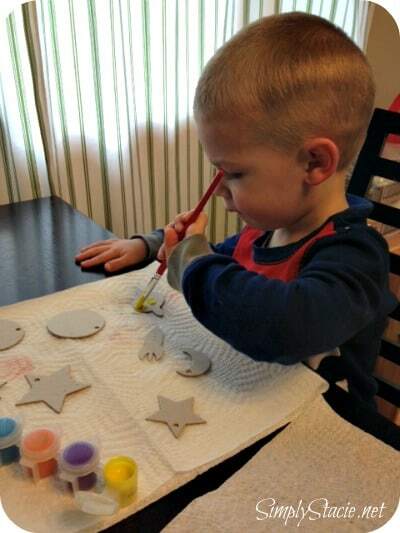 Matthew had a blast painting the planets and rocket ship for his mobile. I helped him tie the pieces together, and the end result was a solar system mobile that Matthew thought was just the coolest thing. It’s hanging in our kitchen for all of us to enjoy. I was impressed with the quality of the materials included in the crate. And the instructions are easy to follow and very kid friendly. The crates are recommended for children 3-6 years old. My 3-year-old did very well with the projects. Besides space explorations, other themes include dinosaurs and fossils, gardening, and color exploration. 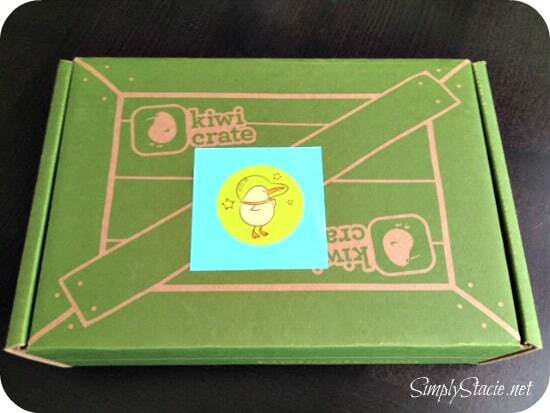 A Kiwi Crate subscription is only $19.95 a month with free shipping included and can be cancelled at any time. There’s also a yearly subscription available for a discounted $220. If you have a naturally curious little one at home, you’re going to want to sign up for Kiwi Crate! You can learn more about Kiwi Crate on their website, on Facebook, and on Twitter. 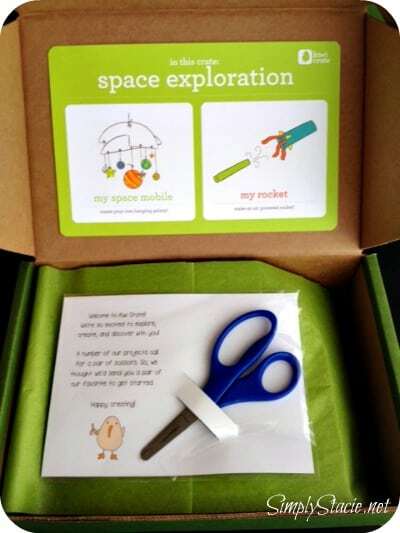 What a lovely review of the space crate, Stacie! Seems like a really cool idea. My son loves activities!